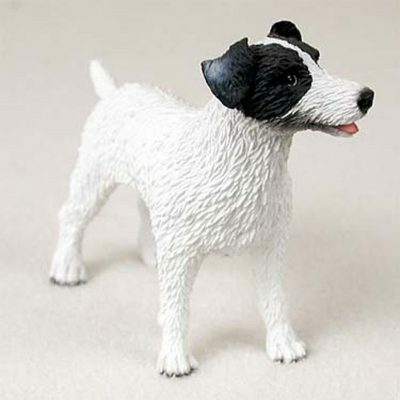 Our Jack Russell Terrier figurines are offered in two colors and two variations. This figurine is our black and white color with a rough coat. 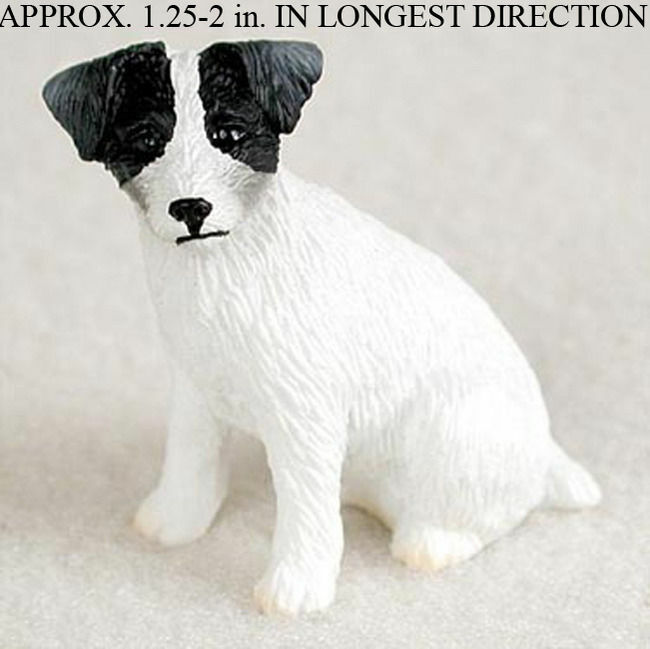 The entire figurine is covered in white with one black mark covering each eye and ear. The nose, eyes, and back of the jaw is also black. 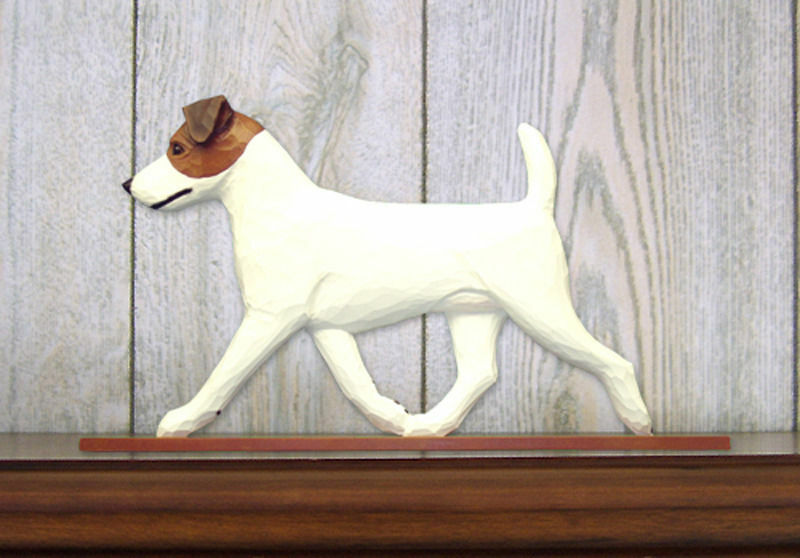 The rough coat is visible on the entire figurine but tapers off into a smooth coat at the paws. 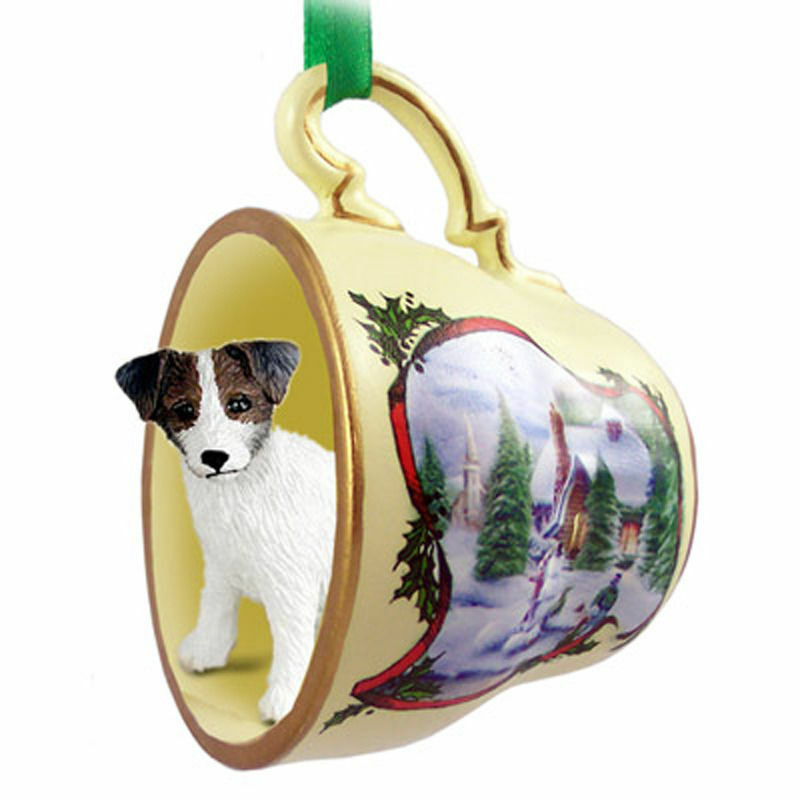 Both hind and forelegs are parallel but separated well giving the breed a steady, athletic, and balanced appearance. 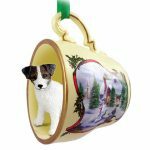 The medium but tight build displays the Jack Russell Terrier’s athletic ability. To view our other Jack Russell Terrier figurines visit the following link: Jack Russell Terrier Figurines.